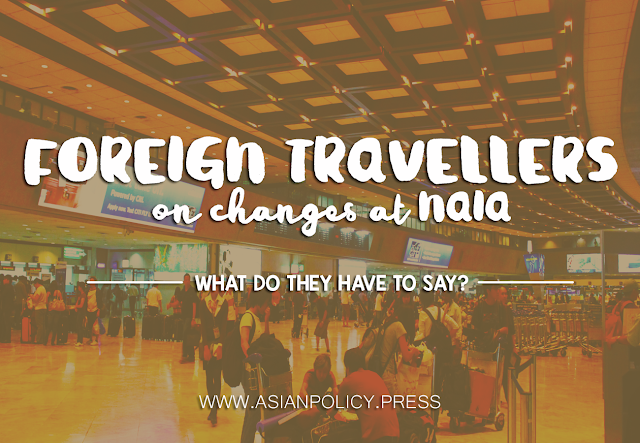 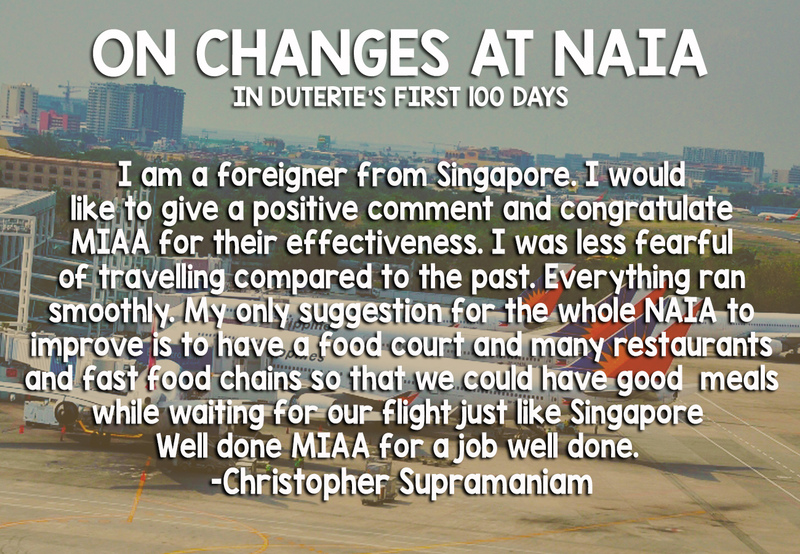 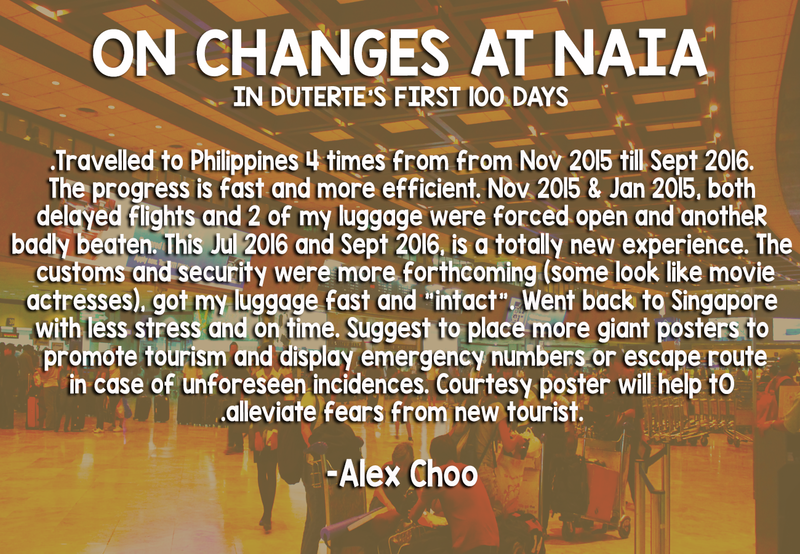 Foreign visitors who frequent the Philippines have seen the worst of Ninoy Aquino International Airport (NAIA), in the first 100 days of President Rodrigo Duterte, they shared what they love about the new management and caretaker of the country's premiere airport which once dubbed as the world's worst. 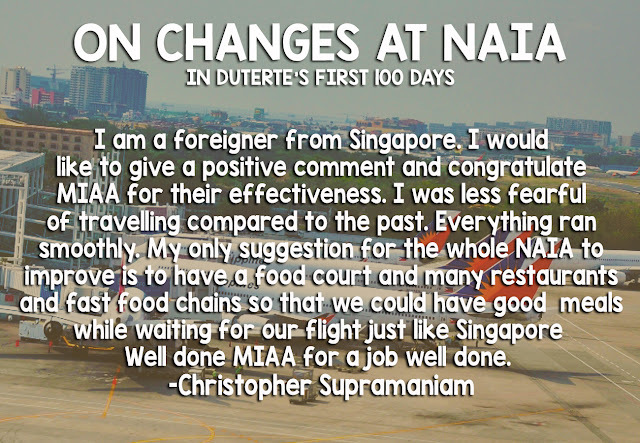 Here are what they have to see. 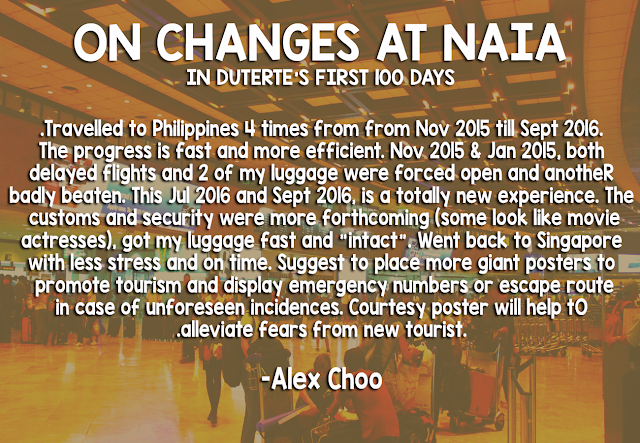 We will keep on updating this post.